Okay, enough teasing already. Behringer has a 12-voice polyphonic synth called the DeepMind. And now let’s talk about exactly what to expect, in one place. The Behringer DeepMind 12 teaser campaign has gotten maddening – a trickle of videos and blog posts has introduced individual details one at a time. Yes, that even means getting as specific as just revealing the filter or going into some detail about why the name was chosen. Uli Behringer took over synth news in July online a bit like Donald Trump has dominated political news in the US – another day, another lead story. But here’s the thing: the DeepMind 12 is impressive. It’s a 12-voice analog synthesizer with a friendly looking front panel. And now, at last, we know the key detail – price. Behringer is projecting a price of US$999.99 retail, and shipping by the end of the year, but also projects heavy backorders. There’s actually something I find a bit peculiar about that post. Uli Behringer says that pricing of their products is set only by a “slim” margin above component cost, and implies competitors are doing something else. Since he doesn’t talk about volume (but only “demand”), the implication is both that competitors are gouging customers on margin and/or making stuff they don’t want. I think that’s disingenuous, unless I’m missing something. What I would say about Behringer is that they do seem to have mastered higher volumes, and own a lot of their own manufacturing and supply chain. Those things will keep costs down, absolutely. We’ve also gotten a lot of details here. Apparently the DM12 began as with the Juno-106 as inspiration, but experienced some significant feature creep. Four effects engines, powered by TC ELECTRONIC & KLARK TEKNIK. Gearnews.com has a nice write-up, too. I think it’s spot on that there may be a companion iPad app – and they note as well that you might want to be in Leeds to check it out in person on 20 August. And lastly, the mighty Sound on Sound have a terrific preview of the instrument – maybe the most complete yet. I don’t remember the last time a synth keyboard has proven as divisive as the DM12 has this summer. One reason is the sheer amount of coverage it’s gotten. This has been a slow summer news-wise even by electronic musical instrument standards. So the Behringer has been this summer’s one big story. Other makers may be readying fall releases, but they’re refraining from teasing anything. And into that vacuum has been a teaser campaign unlike any I’ve seen — multiple videos, coordinated leaks, flooding forums with posts, and working with multiple press outlets on exclusives. It’s easy to be dismissive of that, but any negative backlash there I think is outweighed by the extent to which this has built buzz. Expect at least one rival to copy some of the technique. But then there’s the fact that this is Behringer. That has divided people on its own. Some are quick to defend low cost as a merit. Some have had positive experiences with Behringer products. Some really like the look of the DM12. And indeed, I wouldn’t dismiss the DM12 out of hand, not on quality of design or reliability. The synthesizer has behind it a very experienced and talented team. We’ll simply have to wait for the synth to become available to give it a fair review. On the other hand, Behringer the brand has managed to accrue some bad karma. Let’s leave aside any question of quality; that can be hard to measure unless you’ve done extensive testing. (Retailers are better than this than press. Ask your local retailer what they see returned and what they don’t.) I’ve seen some people taking to social media to say they’ll never touch the DeepMind simply because of Behringer’s involvement in past questions of originality, with cases involving Mackie, Roland (BOSS), and Line 6. The DeepMind, by contrast, is clearly original, so this is really down to whether you think they are still answerable to past sins. Behringer has also left behind some disgruntled former employees, which you can review via glassdoor.de. My sense is the real test is still the instrument. That’s the product of a company and its management, and originality and quality will show through – or not – depending on how well it’s executed. And I’ll say this – the DeepMind 12 has already made 2016 more interesting. 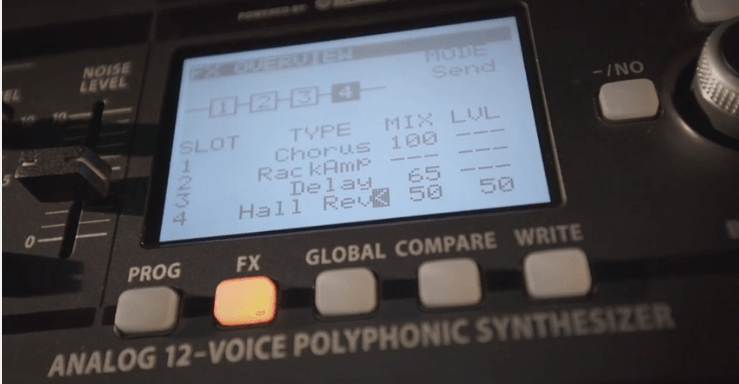 So, as summer comes to a close, here’s looking forward to finding out how the Behringer polysynth stands up once it’s available – and to whatever else we see in the increasingly busy synth landscape for the rest of the year.